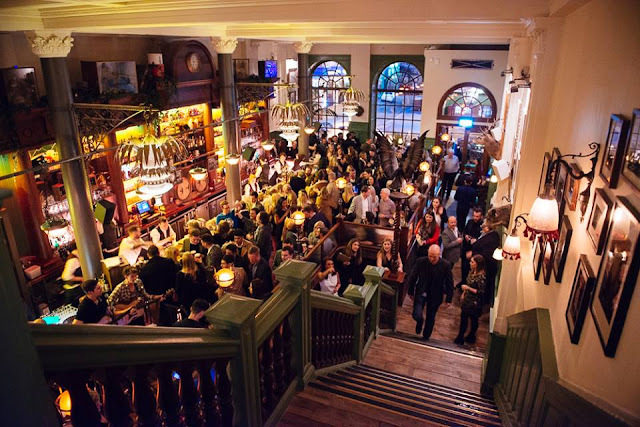 Live music,a buzzing atmosphere and a cocktail list to die for- there is plenty to love about the newest addition to the Glasgow pub and dining scene and that is before I have even tried the food! 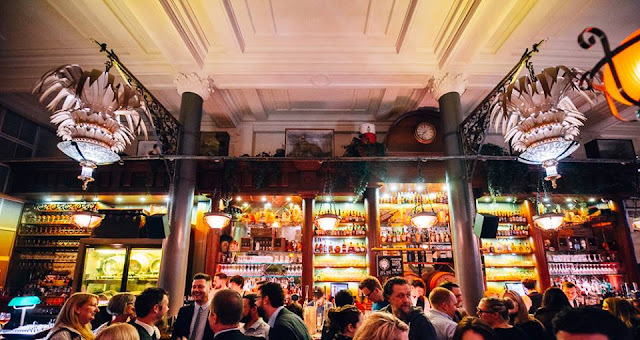 The Trading House already has a location in London and offers a vast selection of craft beers, ales and cocktails alongside a solid menu inspired by the deli, rotisserie and bbq. If that wasn't enough to catch my eye, the dedication in here to peculiar eccentricities and curiosities could not be more up my street, there was a strong chance I would be moving in. From the moment we arrived at the door at The Trading House, we were struck by the friendliness of the staff, unlike many a bouncer in the city centre, we were actually greeted with a smile and a hello and the door was opened to then meet the super lovely hostess for the evening. Walking in we were blown away with the stunning decor of the bar and restaurant and the absolutely buzzing atmosphere. 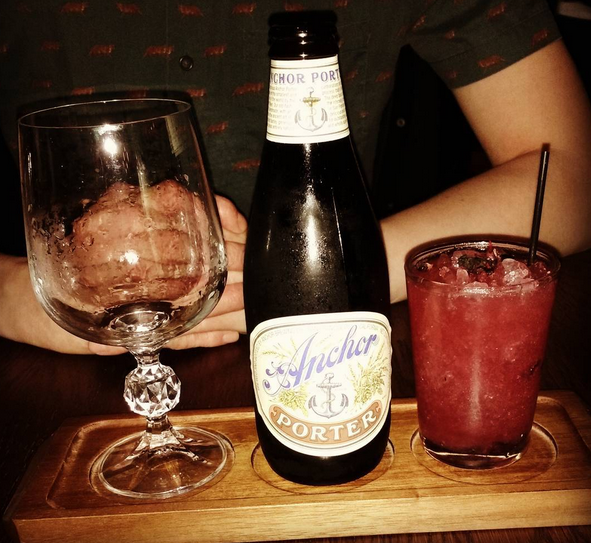 We were shown to our seats and took some time to pore over the incredible drinks menu and specially created anthology of ale. There is seriously SO much choice when it comes to drinks here it is unreal. 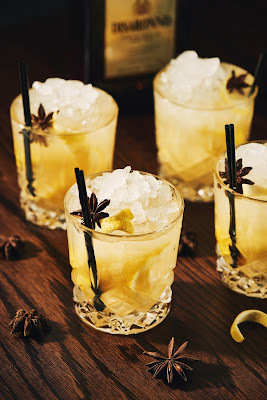 With an extensive list of cocktails, gins and mojito's alongside alllllllll the beers we struggled to know where to start ( don't worry, we nailed it!) I decided a mojito with pineapple and coconut cream was the way to go and Ally was instantly taken with their brewers and traders, beer and cocktail pairing option. Such a clever addition to a menu, this means you can choose from 3 sets of popular brews matched up with a complimenting cocktail and enjoy the best of both worlds. Both were absolutely gorgeous and the perfect way to kick off the evening and to help us pick from the extensive menu. a proper mix of options and it all looked so delicious as it came past the table. Handy for us we had a real pro for a waiter who was amazing at helping us make the most of the experience and offered great tips on what to go for. Jordan was a total hoot, there is something so nice about being served by someone who is clearly really passionate about what there is to offer and not afraid to squat down and get comfy so they can fill you in on what you might like and what their personal choices are. Starters wise I had seen a few snaps from the launch night of the delicious scotch egg with runny centre so I had to try, but there was no way we weren't trying the pork crackling either. The one we both had instantly wanted to go for was the salt and pepper onion petals and this was the one Jordan was first to ensure we had noticed so we just had to try it. With a new beer from the anthology book ordered for Ally and a glass of red for me, we tucked into our little starter medley and we were insanely happy with our choices. I loved that spare plates and cutlery arrived without having to ask so we could dish out and share, and what a little tapas it was. Those petals are a thing of genius, crispy, peppery, and damn delicious with the sour cream dip, I could have wolfed them all down myself. The pork crackling was a huge winner with Ally and the sweet apple sauce almost jam-like addition to the plate was a really lovely compliment. The egg with a touch of picalli was just as I hoped and felt like a fun thing to order that I wouldnt normally find or probably go for on a menu. Another brewers and traders combination for Ally (Number 3) and a beautiful refreshing Rockport gin. tonic and fresh blueberries for me and we were ready for mains. It is worth noting that the mini cocktail of Ally's combo was absolutely incredible, kind of like an alcoholic love hearts drink that was simply unreal! My gin was pretty hard to pick from their impressive selection of 16 and 4 different tonics, it was great to try one I hadn't had before. On the advice of Jordan who was fab at going through the options and answering all our questions, we opted for the lamb hanging kebabs that come with properly seasoned chips and sauce and the pan fried sea bass fillets with pico de gallo. I am new to actually liking fish, and it is not something I would normally ever think of ordering in a restaurant but Jordan certainly knew his stuff so who was I to argue! He did recommend ordering a side of some form to go with it and was even sure to recommend something from the deli board menu as the flavours would be a better compliment than just fries. 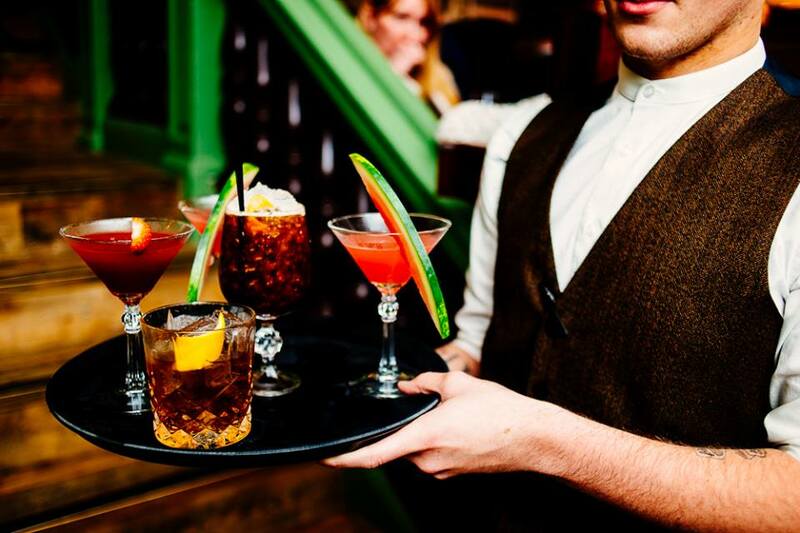 This knowledge and attention to detail was a lovely touch and you can really see the lengths the staff go to in ensuring you have a good experience even when it is a bustling Saturday night. 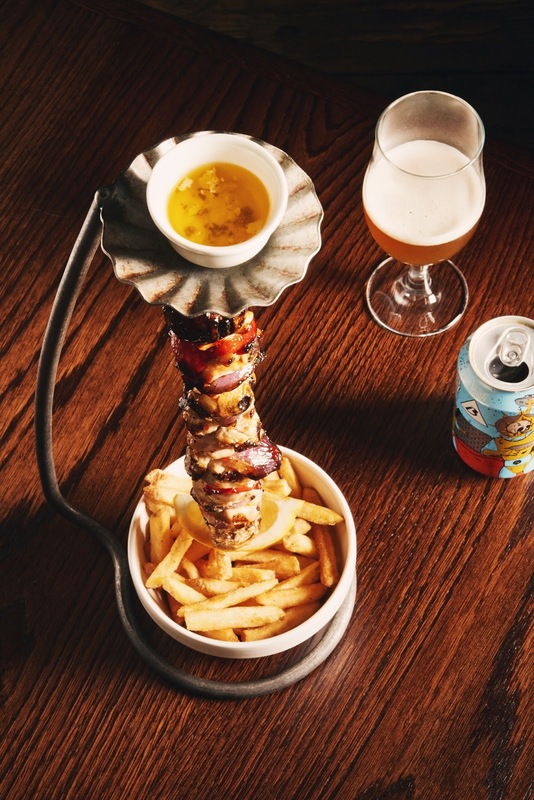 The hanging kebab is a great fun order, there is something about the show of having it arrive at your table and the waiter or waitress pouring the sauce from above which just trickles down to your fries, no wonder so many people were ordering it! The lamb was cooked just as we asked and was incredibly flavoursome while the chips are exactly as described, perfectly seasoned and certainly not a tiny portion either. 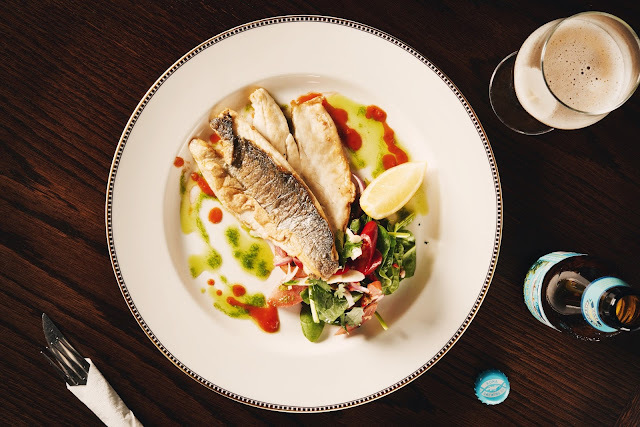 My sea bass was just delightful, well cooked with a slightly crispy skin and full of flavour that felt incredibly light and alongside the pico de gallo and my little potato salad, was perfect. I love to try as much as I can when out for dinner so we shared our mains too and both were super happy with what was there. The portions are satisfying without being ridiculous so they don't leave you feeling heavy which I liked, all too often I have been left following a dinner feeling too full to actually feel like carrying the night on, which is a waste with drinks like these on offer! I had been looking at the menu ahead of my visit all week and if there was one thing I was sure I wanted to try it was the banana and coconut kebab with vanilla ice cream and toffee sauce and Ally was right in there opting for warm chocolate fudge cake. Like the kebab mains the spectacle of the banana kebab is fun and although tasty I was left wanting just a touch more from it, maybe the banana warmed slightly and a bit more melted is all it needed, or a larger amount of sauce would be perfect. It was still very tasty just maybe not quite as wonderful as it could be. The warm chocolate fudge however was a total star, I was ready to rip it from poor Ally's hands, rich, well sized and absolutely gorgeous, thick rich and goey- I would absolutely opt for this one next time. I couldnt resist one last cocktail to go with pudding, the cherry choc tini was just too amazing sounding to leave behind and my word was it good. A really complex tasting, not over heavy drink that was a perfect finish to the meal and I could have drank it a million times over. Really stunning work from the bar people here and they were keeping up incredibly well seeing as both the bar and restaurant were absolutely packed too! I loved the addition of decent live music in the form of singer and guitarist who were playing newer hits and classics with their own twist. It was perfect for standing watching or as good background music and was delighted that it wasnt too loud. Not to sound like your gran, but I do get annoyed when I go somewhere and before a certain hour the music is completely blaring and you can't hear what anyone is saying. This was spot on however and really added to the already buzzing atmosphere. I think The Trading House has a huge amount to offer in terms of Glasgow city centre restaurants and bars. The food is affordable ( and hello 25% off in October- now is the time to get in!) the music and atmosphere is spot on and for me the best part is the really lovely and passionate team they have put together. 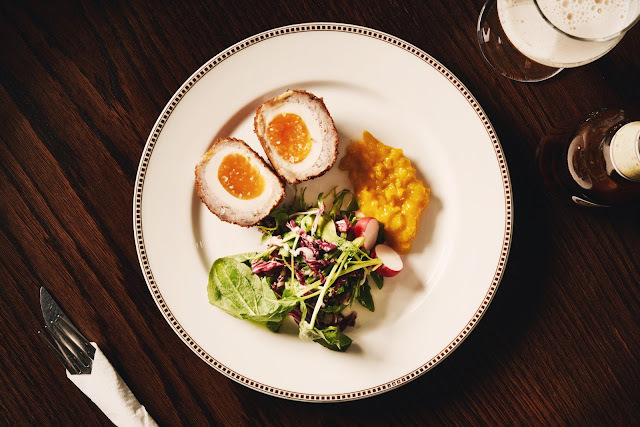 They have made somewhere that is perfect for either a full blown meal and night out, or just drinks with pals complete with a fab small plate menu and nibbles to enjoy with cracking cocktails and a spot of music too. Safe to say we have a really fantastic night here and we could tell the place was filled with people having that same experience thanks to the excellent staff and food and drink choices on offer- well done The Trading House, you can stay!